Eva Carrero, marketing manager at Samsung Electronics, discusses how an increase in transparency has led to growth in the city's comms industry. What is the business climate like? Finland is dynamic and straightforward. We have a strong startup scene and, thanks to it, we have seen many international talents moving to Finland. The country has a strong atmosphere of innovation and people have the willingness to rethink business, entrepreneurship, and technology. 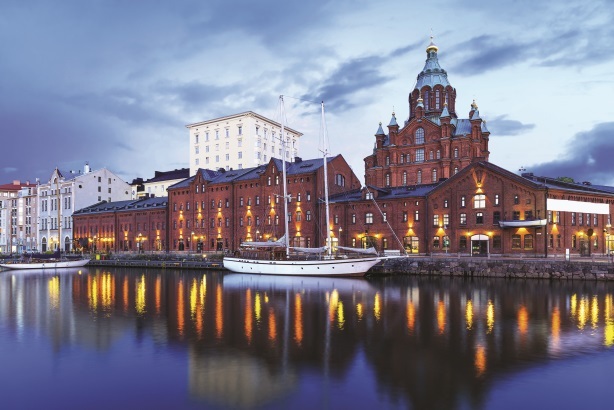 Greater Helsinki also boasts one of the world’s most highly educated workforces and the region ranks consistently in the European top 10 for productivity and global competitiveness. This is one reason why Samsung decided to open its first Northern European R&D center in Espoo [Finland’s second-largest city] last summer. The capital of Finland is clean, stable, and secure, with a very high standard of living. How developed is the communications and PR industry? The industry is well developed and growing. Within marketing communications, the largest growth in 2012 was seen in the PR agency sector where sales margins grew by 12.6%. PR agencies especially have a positive financial outlook. Their services are required in increasingly diverse ways and the growth of, and importance of, transparency and accountability further increases the need for these services. The majority of agencies in Finland are under local ownership, but some international firms are well represented, including Havas Worldwide and Burson-Marsteller. What sectors are seeing the most growth? The games industry is booming, with some of the world’s largest mobile game developers including Rovio and Supercell leading the charge. The industry is attracting talent from all over the world and the educational system is adapting to the growth of the sector. The tech industry has remained central to the Finnish economy, with more than half of exports produced by the innovative technology sector. Finns are very tech savvy and I’m extremely proud that Samsung is number one in many of its product areas, such as cellphones, in Finland. Cleantech and companies that operate in the environmental technology sector have also grown into a vital part of the economy. Are PR and communications viewed as an important tool for growth? The key differences between advertising and PR and communications are understood in Finland, with the benefits of communications often considered as important strategic tools of success. External communications are commonplace and the role of internal communications as a motivational and strategic tool for personnel is considered integral. Finland is known to be among the freest presses in the world, how does this affect communications and PR? The freedom of the press in Finland creates a stable environment for communications, as consumers can trust and rely on the information provided by the media. It levels the playing field for PR and simultaneously keeps it clean, without bribes or extortion. This also creates a necessity for socially responsible and truthful messaging. What is the talent situation like in Helsinki? The Greater Helsinki area has one of the world’s most well-educated workforces. This applies also to journalism and PR. Many journalists who leave the media sector are interested to work within the field of PR and communications, so there is often exceptional talent to be found. The challenge is finding a capable team that can combine PR and communications into a commercial mindset and strategic way of thinking. What do you love most about Helsinki? Helsinki is an ideal city to live. Here, untouched nature meets a vibrant European capital. You are never too far from parks or the sea, but there are all the urban services you need such as great restaurants, public transport, and interesting events such as Restaurant Day, which is a food carnival where anyone can open a restaurant for a day.